There are many factors that contribute to the ice age, including climate changes, changing concentrations of atmospheric carbon dioxide, changes in ocean and atmosphere circulation patterns and even volcanic eruptions. An ice age is a period of long interval of time when the temperature of the Earth is relatively low and it is cold. 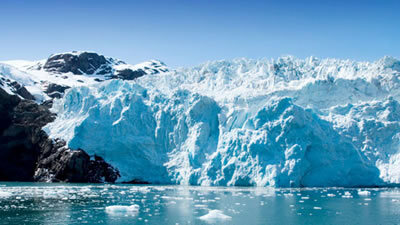 In this period large portions of the Earth are covered in ice sheets, also known as glaciers. This cycle is known as glacials or glacial cycle.In this term, there is also a period where the temperature increases resulting in the ice sheets to retreat, these are known as interglacials or interglacial cycles. According to historians, there have been at least 5 previous major ice ages that have occurred throughout the history of the Earth, where the earliest was over 2 billion years ago, and the most recent one began approximately 3 million years ago. According to this definition, we are currently in an interglacial period.Glaciologically, ice age implies the presence of extensive ice sheets in the northern and southern hemispheres.The current ice age, the Pliocene-Quaternary glaciation, started about 2.58 million years ago during the late Pliocene, when the spread of ice sheets in the Northern Hemisphere began. Small changes in the Earth’s orbit result in an average change of 4 degree Celcius in the global temperature. The tilt of the Earth also plays a part in the ice age cycle, which varies between 22.2 and 24.2 degrees. If the tilt is low (between 22.2 and 23.4 degrees) ice sheets grow and when the tilt is relatively high (between 23.4 and 24.2 degrees) the ice sheets melt away.There are various cycles that happen during an Ice Age – these cycles result in the world seeing cycles of glaciation with ice sheets advancing and retreating and this happens between a period of 40,000- and 100,000-year time scales. Much of the ice age is not fully understood, including why does it occur and what causes it occur. However, scientists do know that there are many factors that contribute to the ice age, including climate changes, changing concentrations of atmospheric carbon dioxide, changes in ocean and atmosphere circulation patterns and even volcanic eruptions. A major change in the shift of the temperature from hot to cold can be attributed to the rise of humans and the rise in the burning of the fossil fuels. The ever changing positions of the Earth’s continent is also believe to play a part in the ice age. The movement of the continents which affect ocean and atmospheric circulation patterns. When tectonic plates move cause increase in the flow of hot water or cold water or block the flow of hot water or cold water, it can cause an increase or decrease in the temperature. For example, if the shift in the plates blow the flow of warm water towards the south poles, it might result in the increase of the temperature and keep the ice from melting.